Consumer advocates say the victims of tainted drywall are getting the short end of a class action settlement with Lowe's. Plaintiffs' attorneys say their $2.1 million cut of the deal is appropriate. Criticism of a Lowe's Companies Inc. settlement in a class action lawsuit over defective drywall is mounting as details emerge about the plan, which has been given preliminary approval by a Georgia state court. 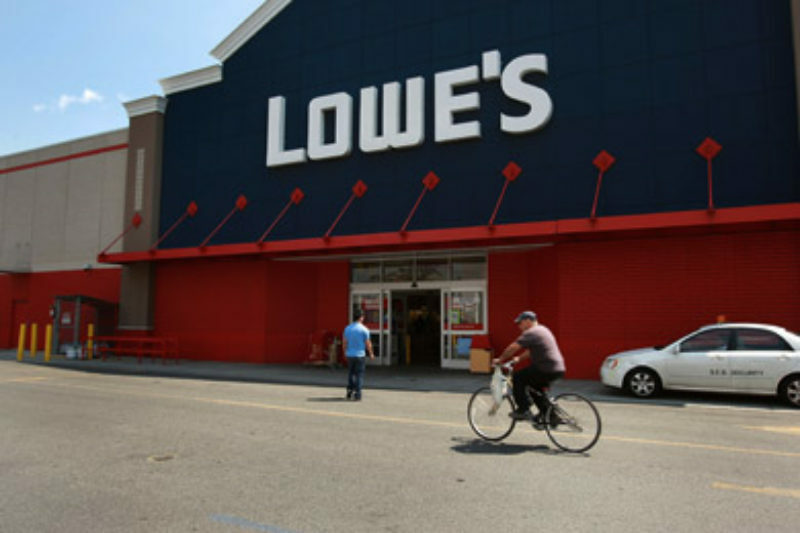 Consumer advocates say the agreement sets aside too much money for the plaintiffs' attorneys and has an inadequate plan for alerting Lowe's customers to the nationwide settlement. The lawyers who negotiated the deal with Lowe's represent about 40 people who say they bought drywall from the North Carolina-based chain. Lowe's has said it does not believe the drywall it sold was defective and that its vendors have assured it that they never supplied Lowe's with any of the Chinese drywall that is the focus of a much larger drywall case that's being heard in federal court in New Orleans. Lowe's is one of a long list of defendants in that case, which has thousands of plaintiffs and includes lawsuits brought by scores of attorneys all over the country against drywall manufacturers, distributors, builders and insurers. The settlement in the Georgia case would give people who allegedly bought defective drywall at Lowe's a maximum of $4,500 in cash and gift cards and a minimum of a $50 gift card, even if they spent far more than that on their drywall. It would also require them to waive their right to sue the company for property damage or medical claims. Repairing a house with defective drywall requires not only removing and replacing the drywall but also the electrical wiring, air-conditioning systems and other appliances, a job that has cost some homeowners $100,000 or more. Lowe's customers who don't like those terms have until Nov. 9 to file a formal letter saying they've chosen to opt out of the agreement. If they don't meet that deadline, they'll automatically be included in the settlement and lose their right to sue Lowe's. According to the agreement, the letters must be sent to a single mailing address to be considered valid for opting out. But the plaintiffs' attorneys have yet to establish such a mailing address, saying they won't be doing so until later this month. That's when they'll also begin notifying Lowe's customers of the settlement by placing information on the receipts of current Lowe's customers and by hiring a company to set up a website and place ads in publications like Parade Magazine. They will not, however, send notices directly by mail. Ed Mierzwinski, consumer product director for the U.S. Public Interest Research Group, a nonprofit consumer advocacy organization, said the notification plan is inadequate because many Lowe's customers may not learn of the settlement and could lose their right to sue without even knowing it. "I cannot believe the judge would approve these notice disclosures," Mierzwinski said. "When people get their Sunday paper, a lot of them throw away Parade Magazine along with all of the other inserts that come in the paper." Consumer advocates say notification plans for class action lawsuits customarily involve contacting potential claimants directly by mail, using a list of all the people who bought the type of product that may be defective. But Don Barrett, the lead plaintiffs' attorney, said Lowe's hasn't provided a list of its drywall customers. Chris Ahearn, a Lowe's spokeswoman, said Lowe's doesn't have contact information for customers who paid for their drywall in cash. For those who paid with a credit card, she said "there would be some information potentially available, but we can't generate a complete and accurate list." Ira Rheingold, executive director of the National Association of Consumer Advocates, said directly contacting potential claimants is essential. "I find it hard to believe that it's that hard for them to figure out who bought what," Rheingold said. "I mean, that's part of their business model, right? It may be more expensive for them to figure that out and send them notices in the mail, but that really is the appropriate thing for them to do." Brian Wolfman, a visiting professor at the Georgetown University Law Center, said too much of the Lowe's settlement money is going to the plaintiffs' attorneys. Barrett, the lead attorney in the case, said the attorneys would get about 23 percent of the total $9.6 million settlement, which provides $6.5 million for the victims, $1 million for the cost of administering the settlement, and $2.1 million for the attorneys. He defended the agreement and said 23 percent is "on the lower end of fees paid in settlements." But a close reading of the settlement shows that percentage could grow, because the agreement stipulates that if the plan doesn't draw enough claimants to pay out at least $2.5 million in cash and gift cards, Lowe's would keep the remaining $4 million that was set aside for the plaintiffs. If that happens, the lawyers would still be paid $2.1 million, which means they would receive almost as much as their clients. If Lowe's received more than $6.5 million in claims, the amounts that individual claimants can receive would shrink. An agreement that allows a defendant to keep money that is left over from a settlement is called a reversionary settlement, Wolfman said. "Reversionary settlements provide the class lawyers no incentive to put money in their clients' pockets and make it possible for the lawyers to walk away with far too much of the goodies," said Wolfman, referring to reversionary settlements in general. Wolfman previously worked as director of the litigation group for Public Citizen, a public interest law firm. "Reversionary settlements are particularly problematic when notice to the class is not robust, because then it is more likely that there will be left-over money that reverts to the defendant." Wolfman and Mierzwinski criticized the $1 million set aside to administer the settlement as being too high in comparison to what the claimants are likely to receive. Under the agreement, the plaintiffs' lawyers will choose the settlement administrator. Barrett said the $1 million fee is reasonable. It's unclear whether any money left over from the administrator fund would be returned to Lowe's or be made available to its customers. The Lowe's settlement is also being slammed by the lead lawyers in the multi-district litigation being heard in New Orleans. They filed a motion last week seeking to block the settlement, claiming it provides only minimal compensation to drywall victims, overly generous fees to the attorneys who negotiated it, and is an attempt to circumvent the federal court's effort to deal with the issue globally. On Thursday, during a status hearing in the federal case, Judge Eldon E. Fallon said, "I'm particularly interested in whether any settlement in state court interferes with" the multi-district litigation. Judge Bobby Peters, who is presiding over the Lowe's case in the Superior Court of Muscogee County, Ga., told ProPublica and the Sarasota Herald-Tribune that he would be willing to extend the Nov. 9 deadline for plaintiffs to opt out of the settlement. "If anybody felt like they needed more time, I'd take that under consideration, but that's what the parties agreed upon," Peters said. "Both plaintiffs and defendants requested that date."